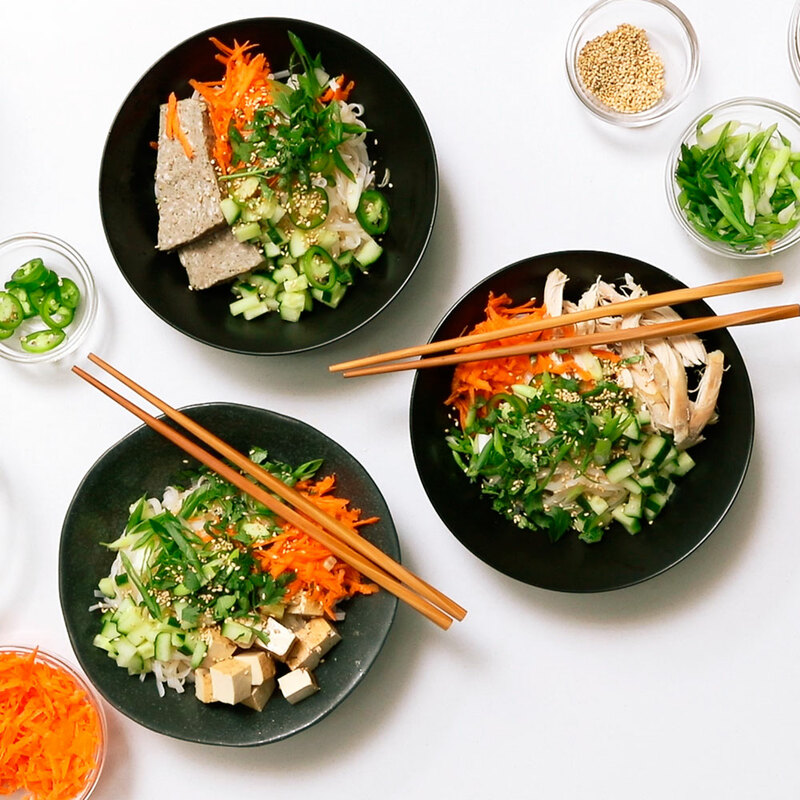 It's all about the variety of toppings with a Banh Mi Bowl. Top your noodles with protein of your choice. 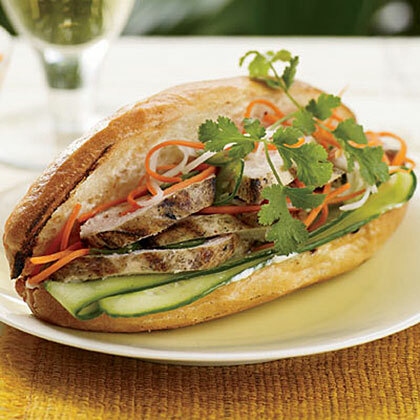 These flavorful sandwiches are made with marinated pork tenderloin, crunchy vegetable slaw, cucumber slices and fresh cilantro on a baguette and drizzled with a spicy lime sauce. 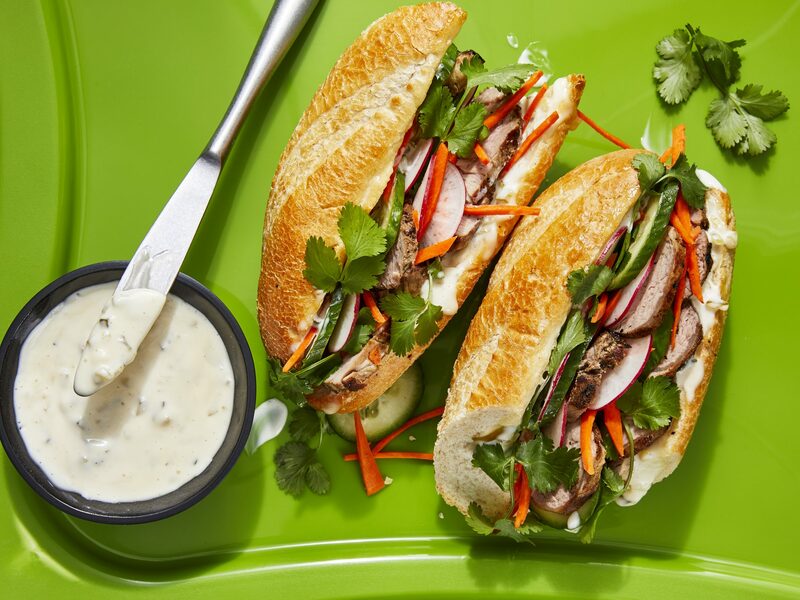 Once grilled, eggplant comes into its full glory: tender, creamy flesh with a satisfying meatiness that makes it ideal for our Vietnamese-style Grilled Eggplant Banh Mi Sandwich. Think avocadoes are just an ingredient for guacamole? Think again. 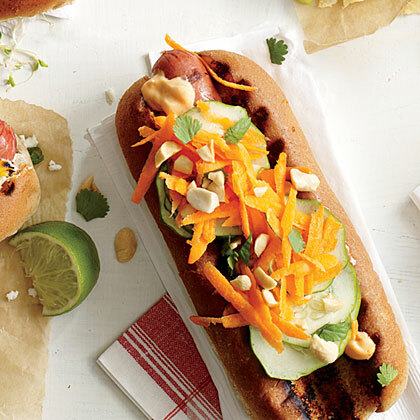 They are a key ingredient in Spicy Avocado Banh Mi. 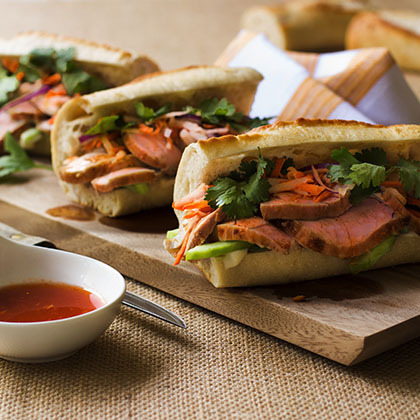 This Vietnamese sandwich gets its kick from a jalapeno and a couple of teaspoons of Sriracha. The night before: Make filling. 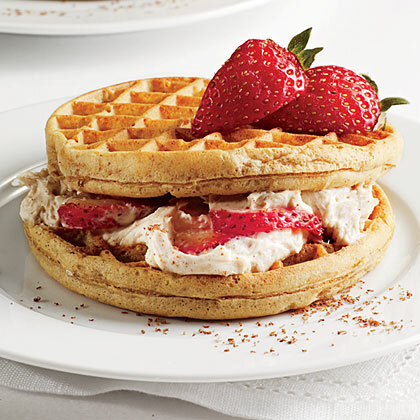 In the morning: Toast waffles. 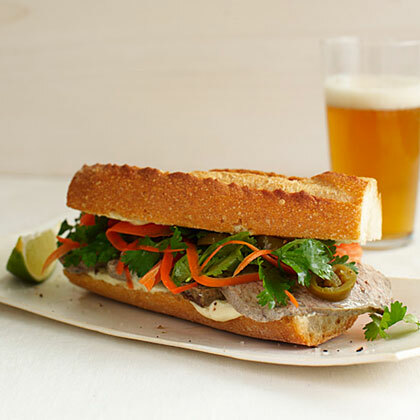 Assemble sandwiches. 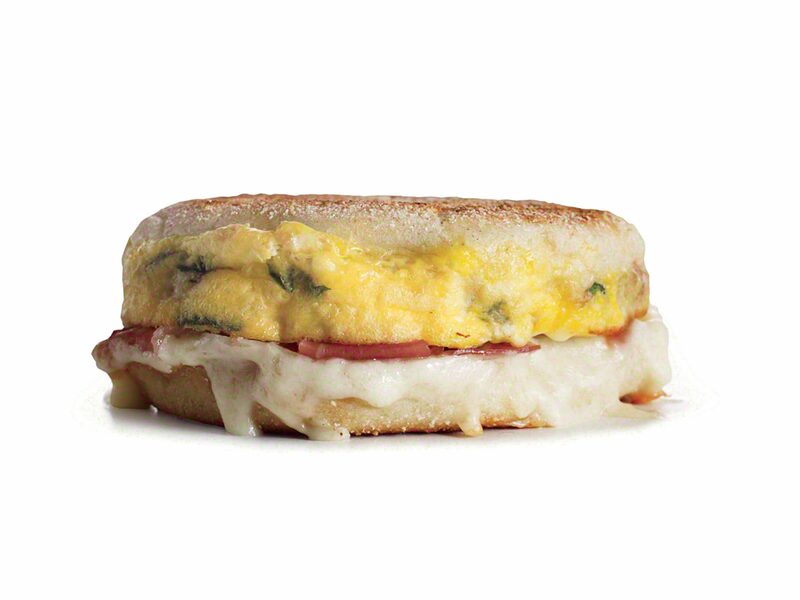 Skip the fast food drive-thru in the morning and make your own breakfast sandwich, like The Cheesy, Hammy Euro Special, at home with significantly less fat and salt. 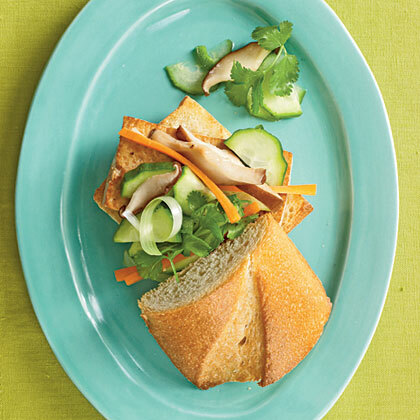 We deconstruct the classic Vietnamese sandwich for a whole-grain bowl that's perfect for make-ahead lunches or dinner. 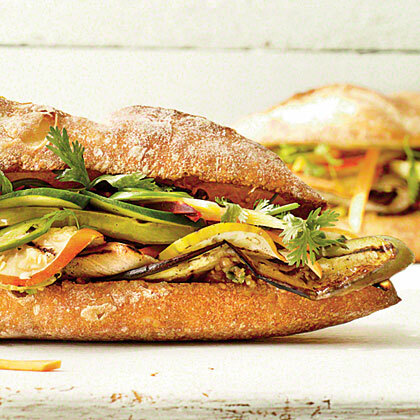 If you haven't quick pickled your own vegetables before, you'll be suprised by how easy it is. Not sure how to use the rest of the chile paste? Try tossing green beans with a couple teaspoons (along with honey, soy sauce, garlic, and canola oil) and roasting, spread a little on grilled cheese, and add it to dressing for cucumber salad. 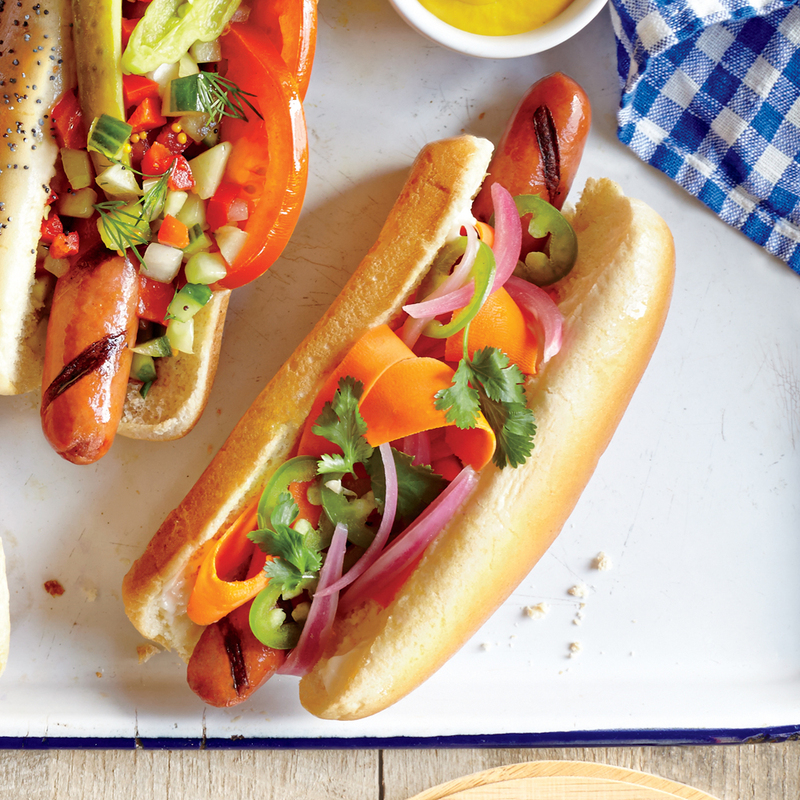 Try a vietnamese-inspired hot dog topped with carrots, red onion, vinegar, and jalapeño slices. 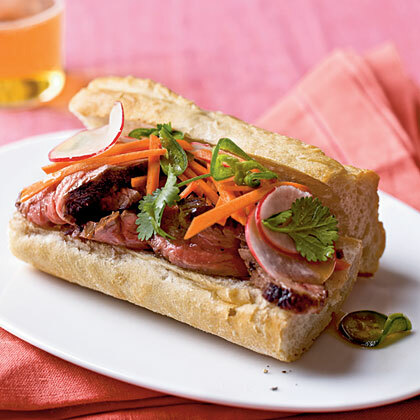 The bread and Vietnamese filling—carrot and radish, cilantro, mayonnaise, and cucumber—are traditional in this vegetarian take on this classic Vietnamese sandwich. 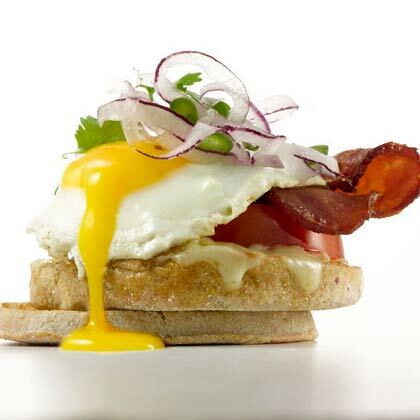 Prepare mayonnaise mixture and toast bread while the tofu and vegetable mixture marinate. 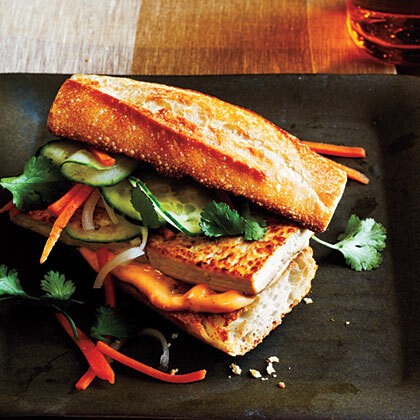 This vegetarian banh mi features marinated tofu; it soaks up savory flavor from soy sauce and heat from fresh ginger for a riff on the popular Vietnamese sandwich. 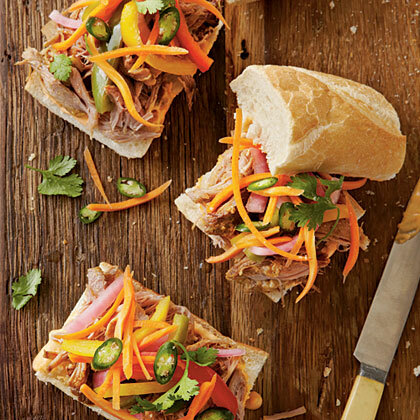 Serve with Sriracha (hot chile sauce) if you prefer more fire. 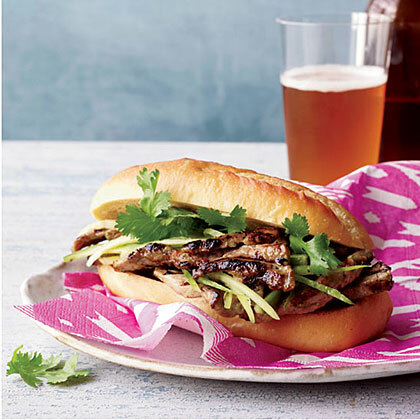 This stuff has a perfect balance of fish sauce, lime, sugar, tanginess, and relish. 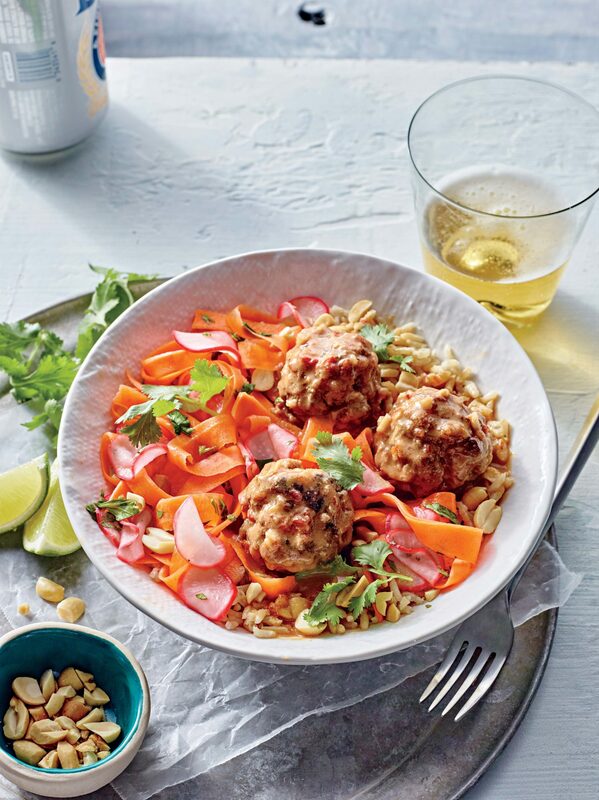 Don’t skimp out when it comes to buying fish sauce: The cheap ones might taste harsh, but the high-quality sauce will last. 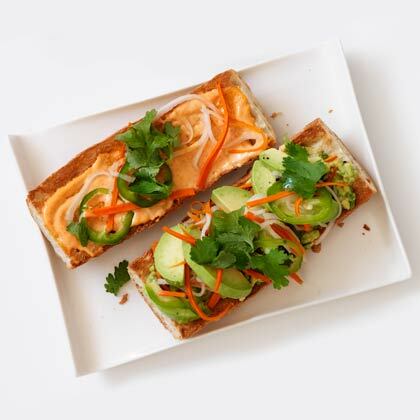 Try this on a sandwich with plenty of raw veggies (carrots, cucumbers, radishes, sprouts, avocado) and a lean protein like grilled chicken breast or pork tenderloin. 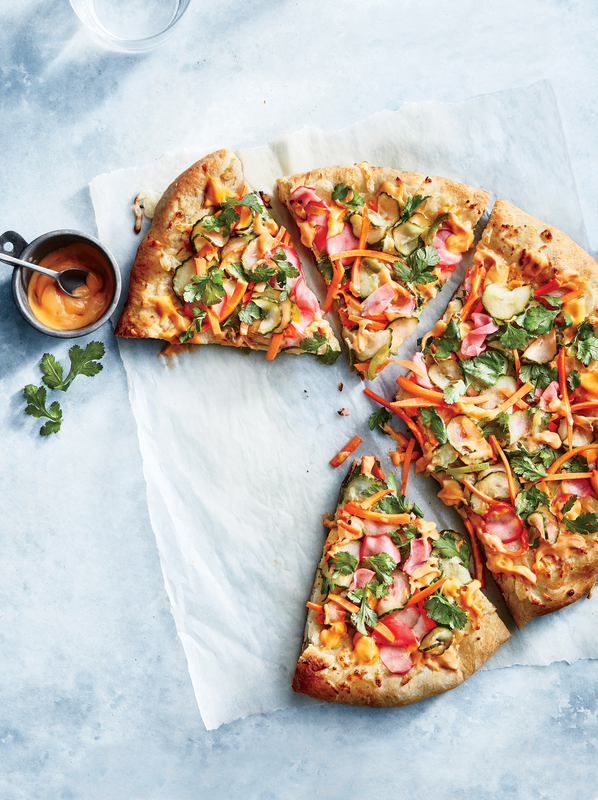 Or, since there’s a slight tartar sauce flair, pair it with crispy seafood. 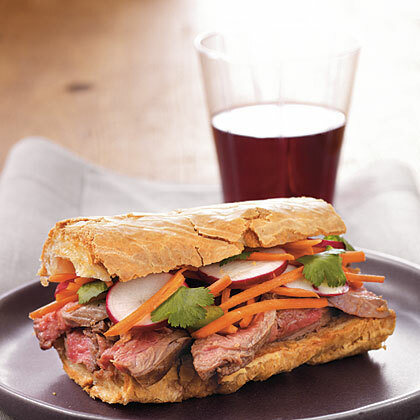 Use a gluten-free baguette to make this roast beef bahn mi – a traditional Vietnamese-style sandwich.